Dr Beischer is the founder and head of the Victorian Orthopaedic Foot & Ankle Clinic at the Epworth Hospital in Melbourne, Victoria. 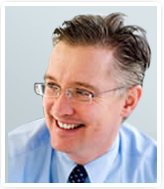 He is currently the Director of Training of Victorian Orthopaedic Registrars in the area of Foot & Ankle surgery. Dr Beischer is actively involved in numerous research projects in the treatment of conditions of the foot & ankle and he has published widely in international orthopaedic journals on his research. Dr Beischer frequently is asked to speak at both national and international meetings on his research and clinical activities. Dr Beischer professional skills range from the surgical treatment of bunions and toe deformities to the management of sports injuries and arthritic conditions of the foot & ankle. Previously as Director of the Orthopaedic Foot & Ankle service at the Royal Melbourne Hospital over the last decade Dr Beischer has become nationally recognised as an expert in the reconstruction of the severely injured lower limb and in the surgical management of the diabetic foot. In addition to his surgical schedule, Dr Beischer serves on several professional orthopedic and research committees as an active contributor and policy maker. To know more about Dr Andrew D Beischer please click below links.